A huge thank you to all residents, visitors and the Novacare management / sales team for making our Novacare Busselton Open Day 2019 a fantastic event. 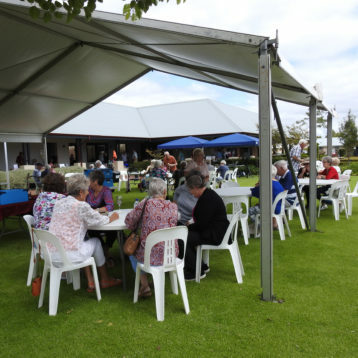 The day was a terrific celebration of the community that calls Novacare home and the premium facilities and enjoyable lifestyle on offer for over 55’s at our Busselton Village. There were many stalls displaying the creative talents of local Novacare residents and small business offerings from the local region. The live music performed by Perth musician Mike Day contributed to the wonderful atmosphere as people enjoyed a delicious canape lunch served by Novacare onsite chefs Neil and Danny. There are many more special and exciting events coming up at Novacare this year so stay tuned!